Welcome to Foxtons, do you need a fast and efficient property clearance service? Then give us a call with availability Monday – Saturday and a speedy service we can be onsite within 48 hours notice. Our staff are professional and reliable, both our commercial and home clearance service is available throughout the whole of the UK. 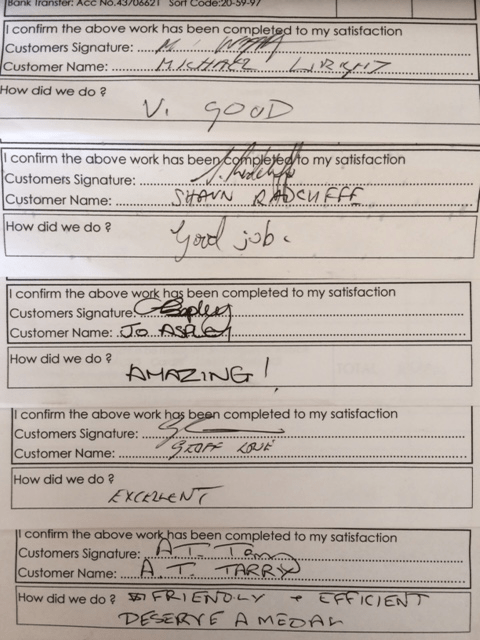 As a company we are recommended by many of our previous customers, you can read just some of our past testimonials HERE. 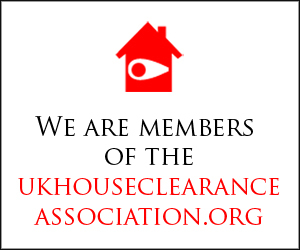 Our staff have gathered many years of experience and carry out all types of house clearance from office clearance, full house contents clearance, shed and garage clearance even loft and garden clearance. We can clear almost anything, from furniture, bric a brac, carpets, fridges/freezers and can even lift and clear carpets also if required, we clear all types of waste including junk and metal, we recycle and donate as many items as we can to charity as one of our daily targets. Please feel free to contact us for free advice and quotations, we are fully licensed and insured and we promise you that our clearance service offers comfort and piece of mind. 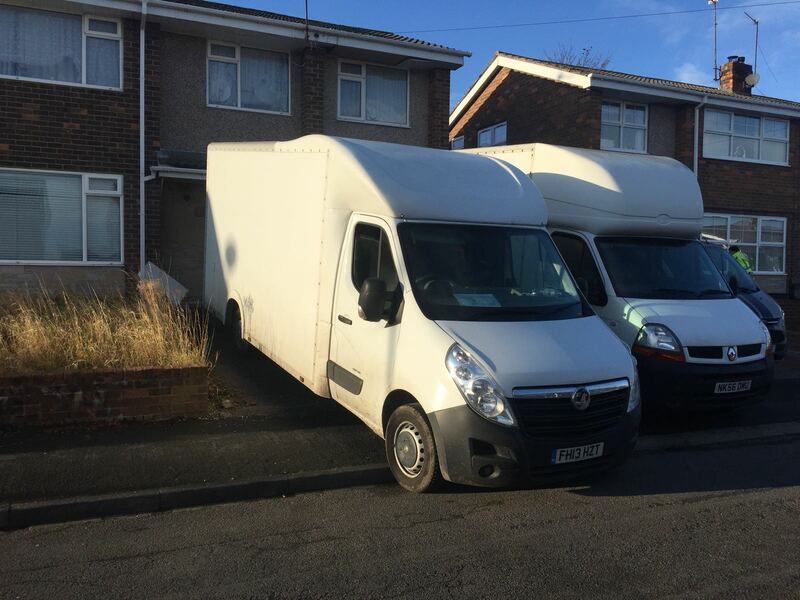 The vans we us are large furniture luton vans, which are all unmarked for your discretion. 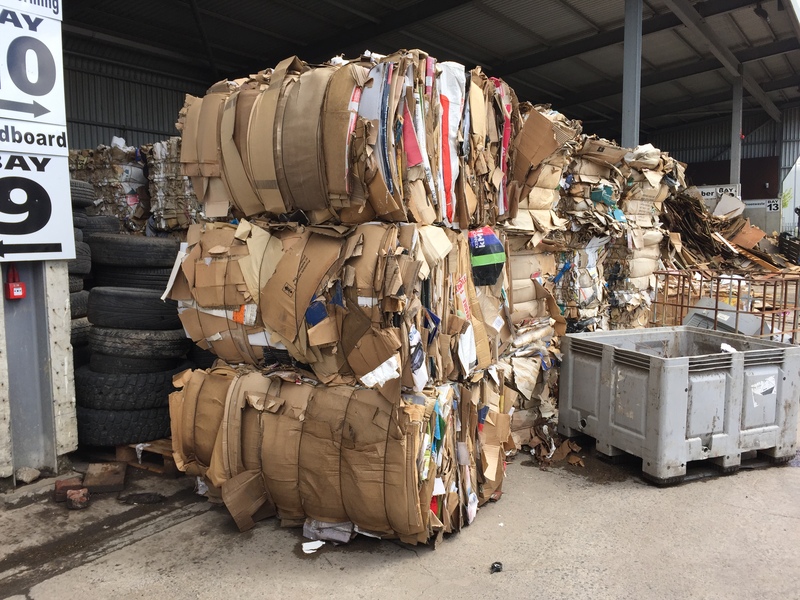 They are able to hold between 1–1.5 tonne of waste and are always maintained to a high standard to ensure that they are able to carry out efficient clearances. Whether your house is going up for sale or letting, moving office or commercial building or simply clearing out the home of a deceased relative friend or neighbour, give Foxtons Clearance a call and speak with a member of our highly experienced team. We understand all clearance situations and specialise in the clearance of bereaved homes and overly cluttered & verminous properties nationwide. Foxtons Clearance hold a Higher Tier Waste Carriers Licence issued by the Environment Agency. You can search for us online on the Environment Agency website HERE using the details provided below. This enables us to carry and dispose of your waste correctly, so no need for you to worry about receiving any penalties for your waste being dumped illegally. In the past we have dealt with and understand all situations possible, we always work towards customer satisfaction and until you (our customers) are completely satisfied with our work. The team arrived promptly and cracked on straight away, making several round trips necessitated by the unexpectedly large volume of goods that needed to be removed. They were extremely helpful and friendly and undaunted by one or two unexpected complications when removing the carpets. I didn’t see every van load that left the house, but every one that I did see was full to the brim. Every room was swept clean on completion and the garden and garage were left tidy. 3 man team arrived at the agreed time, fully uniformed as promised ready to work. They worked hard right through the day to ensure that the house clearance was completed in the little time I had to get the keys back. The house contents were fully cleared, all blinds/curtains removed and carpets lifted by 2pm. I was well impressed, very thorough and professional service and I could tell the lads had clearly done this before. Many thanks and would certainly recommend for house clearance. Friendly, efficient and good value for money. I chose this company out of another two companies I called. The staff were very helpful from first point of contact right until the end of the house clearance. I wouldn’t hesitate to recommend them for house clearance work. I just wanted to thank you guys for the house clearance in Melrose today, I send my thanks to Kris, Mark and Jake for their hard work and I appreciate the very pleasant and stress free service from the whole team. Very helpful from first point of contact right up to clearing up after yourselves once the house contents were cleared. Highly recommended, pleasure to deal with 5 star service. Mrs Sarah Kirkby-Melrose House Clearance. Will, thanks for the excellent service today. Your guys arrived on time, professional and very thorough from start to finish, van packed efficiently. They did a great job and now are on their way to recycling centre to load off. I have happily sent the payment to your account and consider it money well spent, Kind Regards. As a team we understand that when clearing a house there are many occasions when it is easier, a lot less stressful and more cost effective to commission a professional house clearance company. When you consider the costs, paperwork, time and effort involved in completing the clearance yourself (arranging skips at £150 – £200 a time, applying for Highways permits for the skips to be sited on the roadside and the hassle of taking time off work to actually clear the property) you will quickly see that it can be a wise choice to call in the experts. No need to chase up councils for permits or pick-ups, no waiting on surly wagon drivers to pick up and replace skips which have been filled overnight by fly-tipper’s waste. No aches or pains caused by over-exertion! 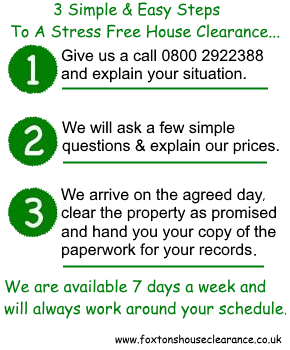 We believe that the whole process of house clearing should be simple, reasonably priced and stress free. A team of Professional, Courteous, Well trained and Uniformed staff. 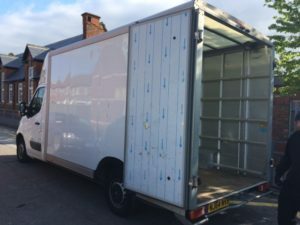 A Luton style van which can hold between 1–1.5 tonne of Waste. A Family run, reliable, respectful & responsible house clearance service. Professional, courteous, well trained & uniformed staff. A guarantee to complete the job to your satisfaction. If you have inherited some property or simply want to de-clutter, Foxtons House Clearance is waiting to help you through the process. 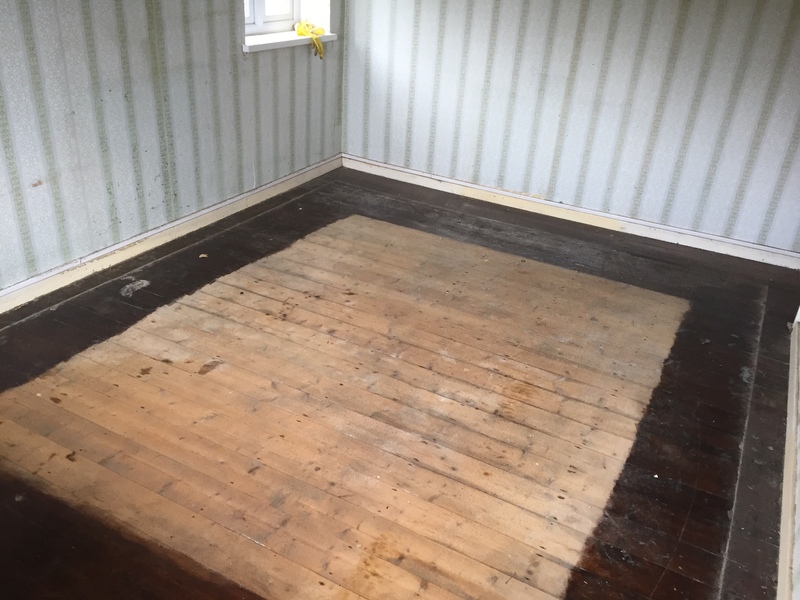 Our respectful and reliable staff will always work hard to complete your house clearance to the highest standard possible with a minimum of disturbance to yourselves and any anyone else involved. Let us take the strain and make organising a house clearance simple, straight forward and easy for you. From your first moment of contact, we will take control and relieve you of the unwelcome stresses that come alongside house clearance. We can normally have most properties fully cleared within a day, if you are not able to be present on the day of the clearance, please advise us if we need to collect keys from a third party such as an Estate Agent, Solicitor or neighbour when organising your house clearance. We have the facilities to take payments in cash, cheque, debit card, credit card or direct bank transfer. Once the clearance is complete, each customer is given a invoice which holds all of our company details. The team arrived promptly and cracked on straight away, making several round trips necessitated by the unexpectedly large volume of goods that needed to be removed. They were extremely helpful and friendly and undaunted by one or two unexpected complications when removing the carpets. I didn't see every van load that left the house, but every one that I did see was full to the brim. Every room was swept clean on completion and the garden and garage were left tidy.